It seems strange to envision European soccer feeling threatened by American soccer, but that was once the case. This unusual circumstance arose in the mid-1920s as a result of the signing by American Soccer League teams of players who were under contract to European teams. What was referred to in Scotland as the “American Menace” grew out of the ASL’s decision to expand at the start of the 1924-25 season, its fourth, from eight teams to 12. All of the new teams went after European players, but the Boston Wonder Workers were the most aggressive in that respect. The Wonder Workers signed midfielder Tommy Muirhead of Glasgow Rangers as player-coach, and Muirhead encouraged his new employers to make offers to a number of his Scottish compatriots. I was offered only four pounds a week [by Greenock Morton for the 1924-25 season]. I don’t think that’s anything like a decent wage. And when I asked to be put on the transfer list I was told a sum that nearly took my breath away. It was more than 1,500 pounds. Fifteen hundred pounds, who’s going to pay that for me? It was obvious that the sum was prohibitive and that I was being so tied down that I could not do other than sign for Morton. Well, I was determined not to do that. I went to my work in the engineering yard and one day a cable from the other side [America] arrived. It was an offer of round about 12 pounds a week, to work and play football. I jumped at it. What really raised Scottish hackles was the departure of players who, unlike McNab, had accepted offseason wages from their clubs, considered the equivalent of agreeing to sign for the new season. A particularly high-profile instance of this was the case of Johnny Ballantyne, a forward from Partick Thistle who ended up scoring 55 goals in his four seasons with Boston. The problem wasn’t limited to Scotland. 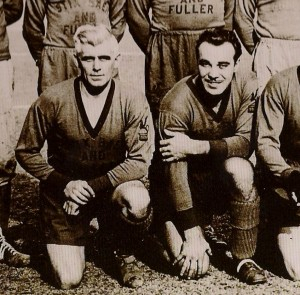 It accelerated after the 1926 American tour by Hakoah, a leading Austrian first-division team, when eight of the Hakoah players decided to remain in America and, despite still being under contract to Hakoah, to play for ASL teams. A protest to FIFA about this in 1927 by Austria and Hungary resulted in an agreement on the matter between FIFA and the U.S. Football Association that upset some ASL team owners. 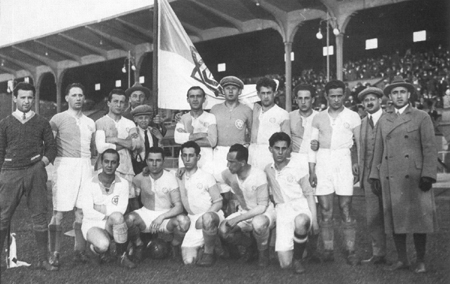 The flow of European talent to ASL teams in the 1920s was substantial. Over the original ASL’s 10 years, a total of 53 players who had been capped by other countries played in the ASL. Ironically, the first two teams to violate that 1927 agreement between the USFA and FIFA over signings were not ASL teams. They were Scottish teams who signed players under contract to ASL teams. This article was originally posted on the BigSoccer.com website in January 2011. It is based on research by Colin Jose, who was the historian of the National Soccer Hall of Fame from 1997 to 2007. His 1998 book American Soccer League, 1921-31 contains much of the information used here, including the quote from Alex McNab. The Historian of the National Soccer Hall of Fame since 2007, Roger worked for more than 30 years as a newspaperman in Detroit, Toledo, and Philadelphia, finishing his career as a copy editor at the Philadelphia Inquirer. He is past president of the Society for American Soccer History. Check out his Big Soccer blog for more soccer history. Ive recently created a blog about the first World Cup, where I make reference to your previous work.